The International Green Summit (I.G.S.) will hold its first annual conference and expo in Moura, Portugal from Nov. 9 - 14. The Portuguese government has expressed full support for this event in their efforts to be environmentally sustainable. The opening reception will take place at Castle of Moura on the evening on Nov. 9, with an exposition and diverse cultural events followed by a gala dinner. The summit will connect activists, advocates, organizations, policy makers, practitioners, innovators, businesses and green leaders from around the world to promote a healthy sustainable planet that benefits all. The goal of I.G.S. is to quicken the adoption of green, clean and sustainable business practices, technologies and solutions. The endeavor is to increase global public awareness on the reduction of global warming and sustainable use of resources by promoting the best renewable and reusable practices, technologies and policies in an international platform. I.G.S. is going to be the first summit that will bring together the 150 largest companies in the world that produce green products, services, standards or are working on sustainable processes. The global event will consist of live webcast of the conference and summit, as well as simulcast on cable and satellite networks around the world. There will also be a documentary filmed at and about the event, with all programming being archived for video on demand. The I.G.S. conference and expo will be a fusion of Internet, film, television, radio, social networking systems and innovative media forms, broadcasting internationally and carried out through these channels after the event. Additionally, the event will bring together scientists, politicians, thought leaders, companies, artists, organizations and people interested in learning and exhibiting how fellow human beings will come together to make educated choices in lifestyle changes. I.G.S. will also hold a green venture capital conference in Moura during the last weekend of August, where a fund will be established to support environmental projects and the participation of companies and organizations in the I.G.S. conference. During the main event, handouts from sessions will be available on CD-ROM and online instead of paper, and traditional materials such as conference badges and event programs, will be printed on recycled paper. The goal to be achieved is a 'carbon zero' conference. According to Michael Padurano, CEO of I.G.S., "A shift to a clean, green economy can improve the health and well-being of the whole planet population. Such a shift can also create and expand entrepreneurial, wealth-building opportunities for workers worldwide and encourage new avenues of economic advancement." Michael's philosophy of "Awareness creates Knowledge, Knowledge creates Change," is aimed at educating local populations to influence the political processes to create an earth friendly eco-system. 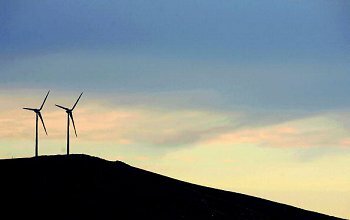 Moura, Portugal is becoming increasingly well-known for its alternative energy initiatives. The latest is the Sunflower project, which also involves communities in seven other European Union countries; the aim is to transform communities into a "Zero Carbon Community." The IEE seeks to convert the communities into areas free of carbon dioxide (CO2) emissions, where only renewable energies are used. Portugal has one of the largest solar energy facilities in the world, powering 8,000 homes, and saving more than 30,000 tons a year in greenhouse gas emissions. The world's first commercial wave energy project is also in Portugal, ashore at Agucadoura, which began delivering wave-generated energy to Portugal in 2006. This lucrative energy source brings 2.25 megawatts and powers 1,500 homes through the national state run electricity grid system. The Aguçadoura wave farm constitutes both the world's first, multi-unit, wave farm and also the first commercial order for wave energy converters. The International Green Summit Web site is at www.igsonline2009.com.